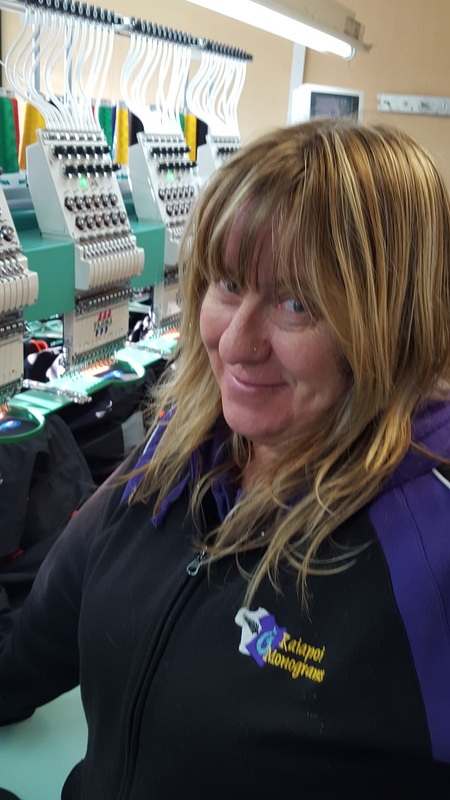 With over 33 years experience in the trade, Penny is well qualified in her craft. Using the latest machine technology, her work is crafted with care and pride and is second to none. Penny is also talented in the supply of Patches. 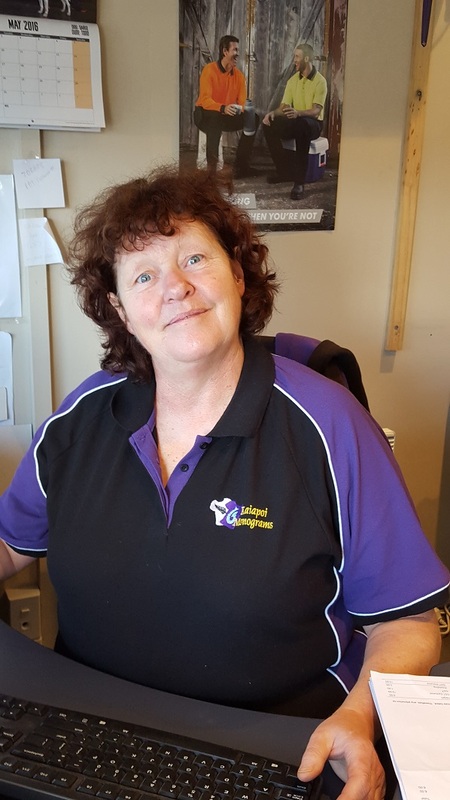 Penny loves a challenge as is keen to make all her customers feel special and important. 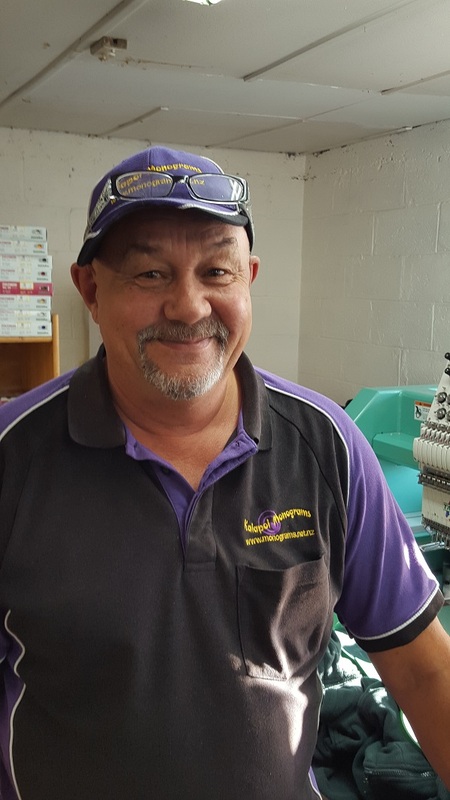 With experience in the field of embroidery working alongside his wife, it makes for a professional working team. 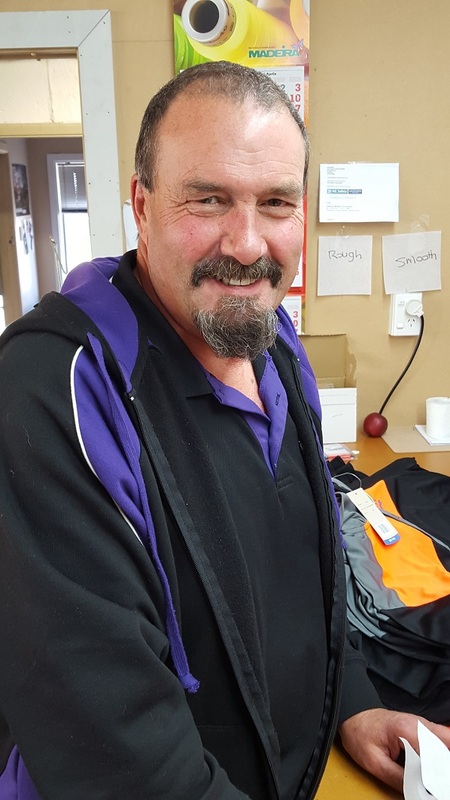 Trevor does a free pickup and delivery to town and surrounding areas twice a week on a Tuesday and Thursday afternoon. With over 10 years in digitising and designing, Michelle is fully qualified in all aspects of digitising and help of running the business. 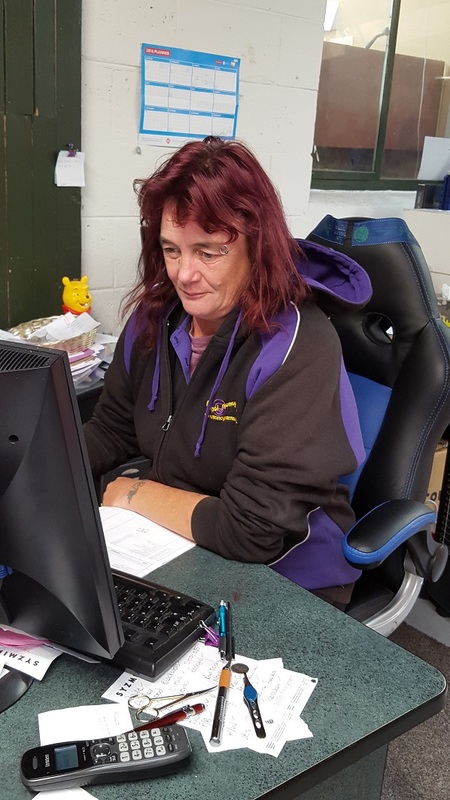 Lisa is a professional machinist who has been working with us for some time. Her experience and expertise ensures high quality workmanship. Craig has joined the team as the finisher, and also helps the team with whatever they need.